Divide the lettuce evenly among four plates. Slice the chicken breasts (these should be precooked) into 1/2 inch thick slices. Divide them among the plates. 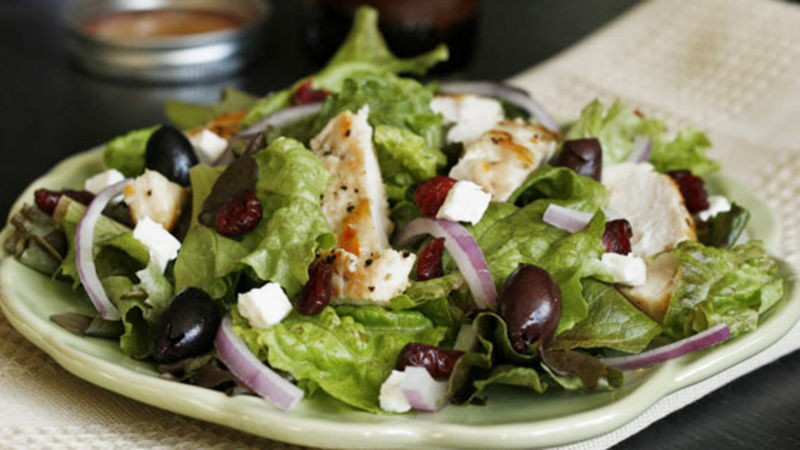 Top each salad with 1/4 of the red onion, dried cranberries, kalamata olives and goat cheese.